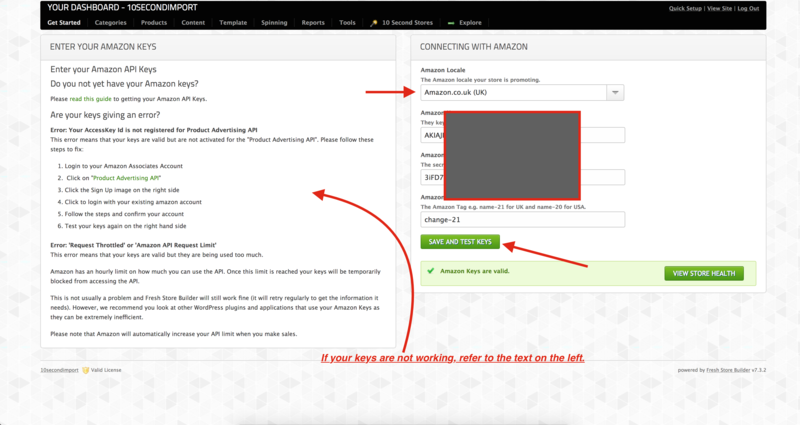 This guide will show you how you can take the Amazon.com 10 second stores and import it for your amazon store locale, for example amazon.co.uk, amazon.de, amazon.ca or any of the locales Fresh Store Instant supports. 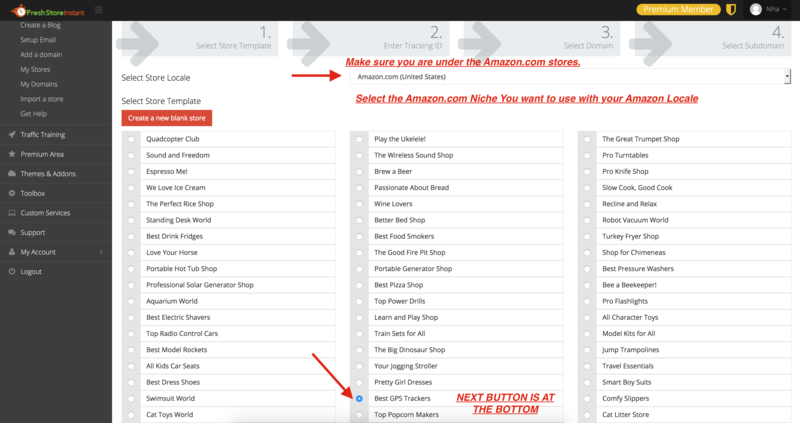 Following this guide you will be able to use any of the USA 10ss niches on your amazon locale. Everything will be imported from the stores, including the banners and custom css setup. The only thing that you will need to do is add new products into your store. Amazon has different ASINS across the different amazon locales. So the same ASIN on Amazon.com and Amazon.co.uk might be for different products on Amazon.com and Amazon.co.uk. 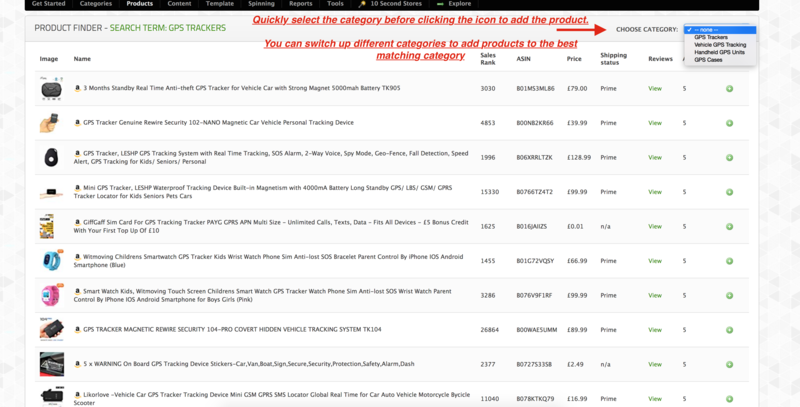 There are a lot of ASINS that do match but we recommend you delete all the products imported into your store and quickly add new products as shown in the images below. Within a few minute you will be up and running. Once you click Make My Store, you will need to wait for it to finish setting up. 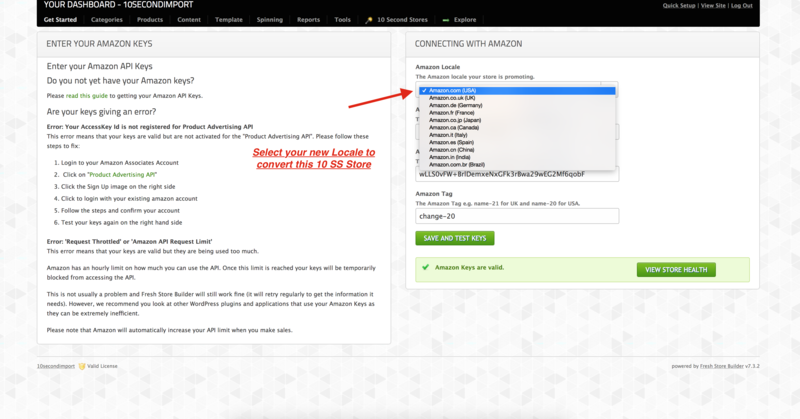 When you go back to your store list, you will be able to LOGIN to your store to convert it to your amazon locale. 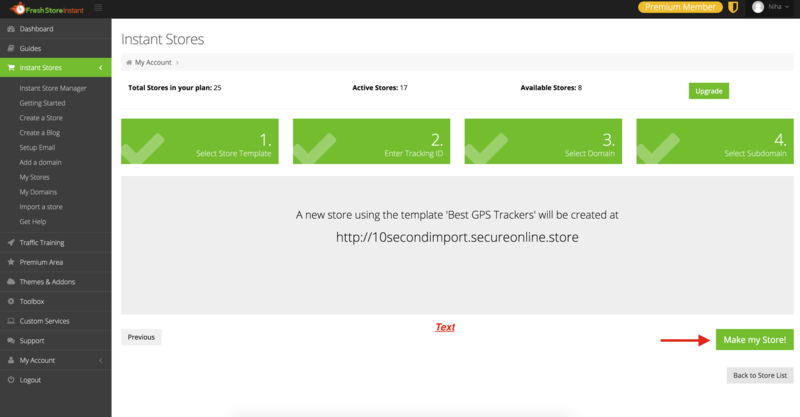 Step 2- Converting your USA 10 Second Store to a Different Locale. 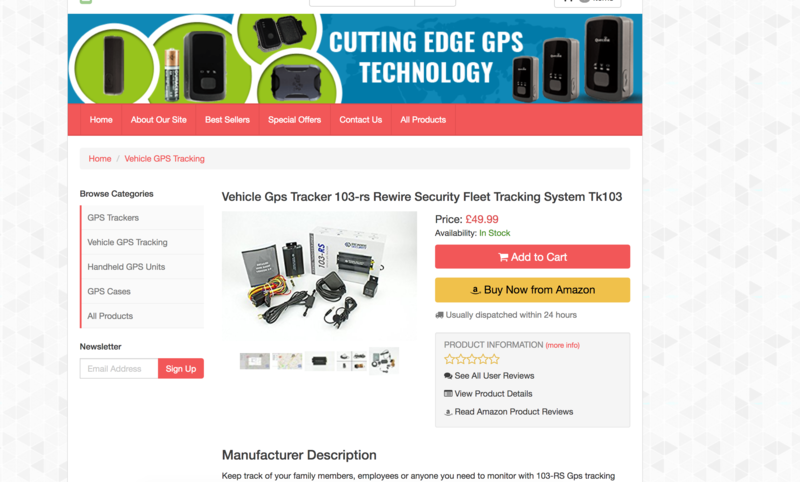 First step after login to your freshadmin panel will be to set the store to your Amazon Locale and Tracking ID. 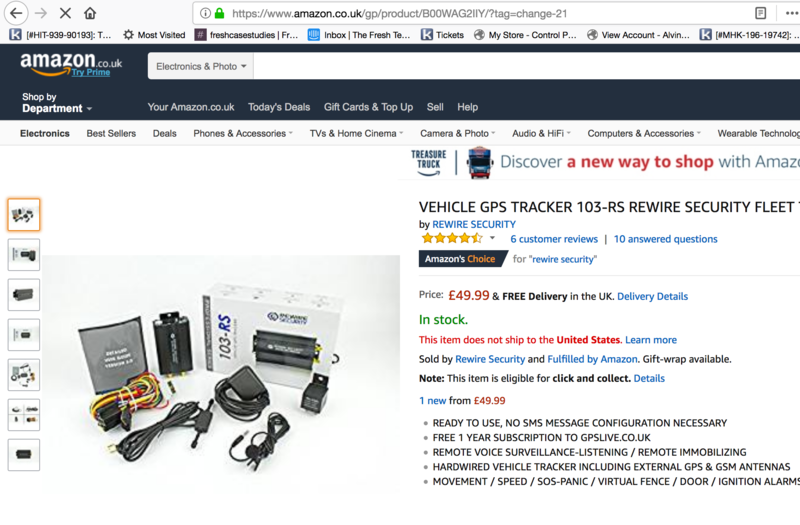 In this guide I'm taking a USA 10 Second Store and going to convert it to a Amazon UK Locale Store. You can use this same guide for any other locale. 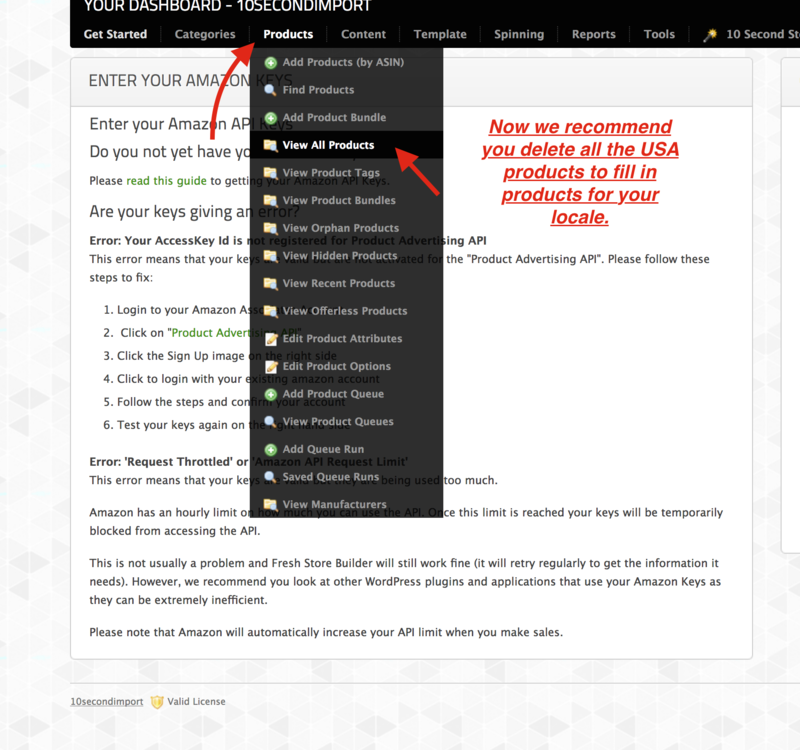 Now as recommended above, we recommend you delete all of the USA products in the store and then quickly add in new products from your locale. 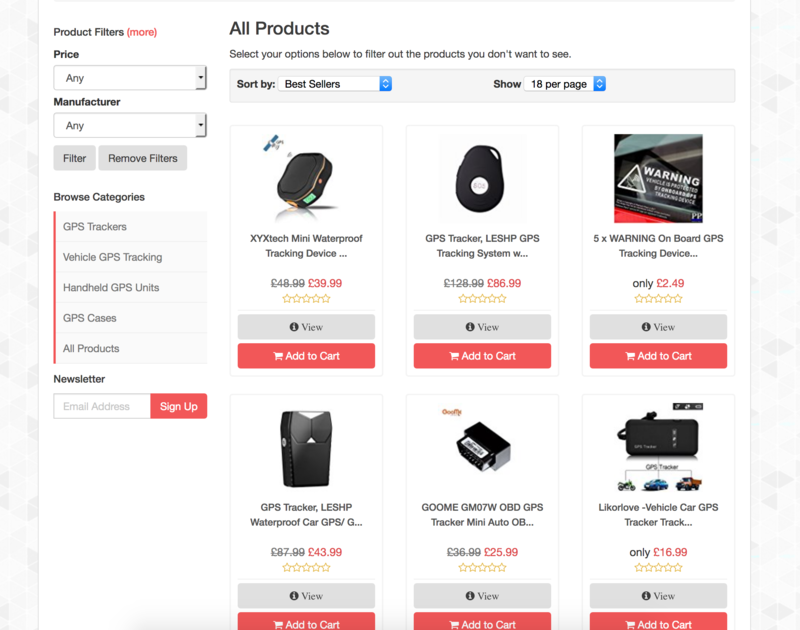 Click on Products - VIEW ALL PRODUCTS in freshadmin to delete all the products. 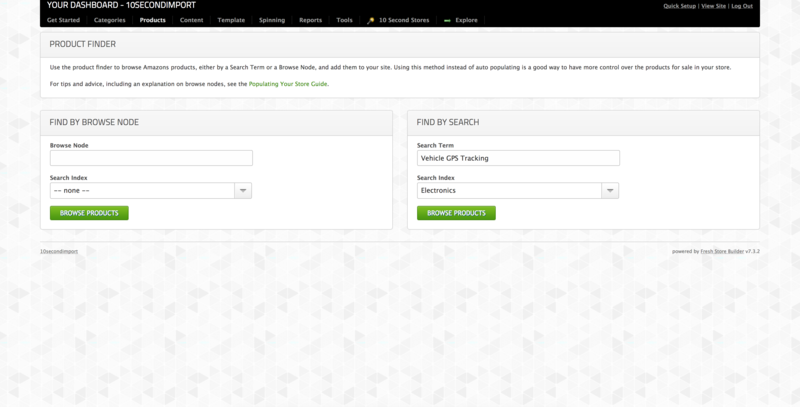 Now you are ready to quickly fill in adding products to your categories. In this guide I will be using the search tool. 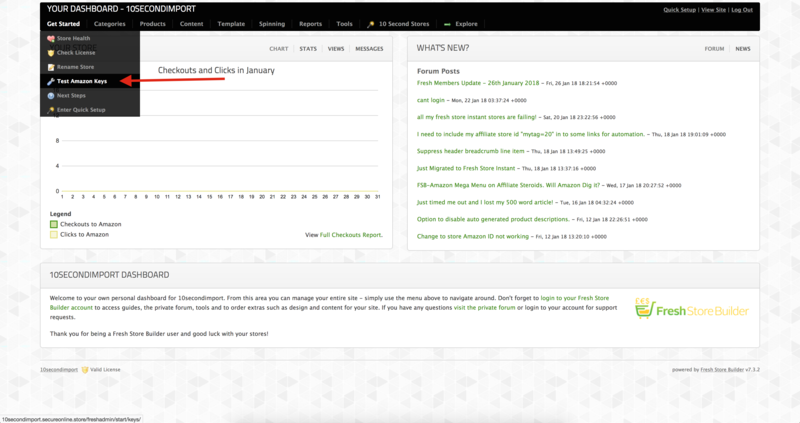 You can use the auto-populate settings to have items automatically add based on your keywords or browse nodes. I normally choose to manually add products into my store because you get better results than trying to auto-populate. 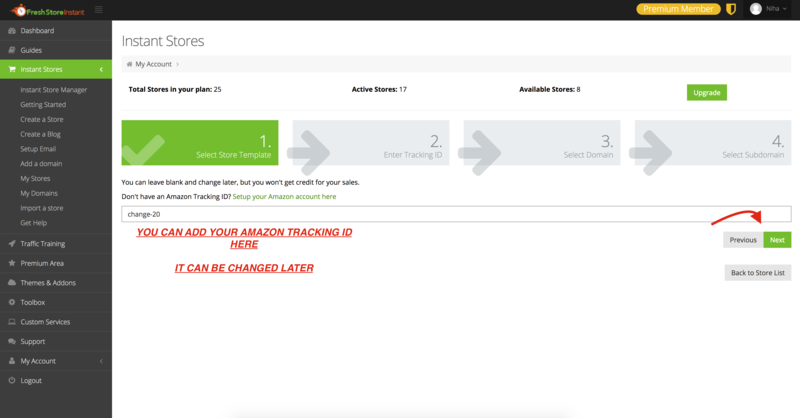 I will also go to amazon and quickly copy and paste ASINS for the items I want and then quickly add using the Fresh Store Instant feature to add multiple asins at once. 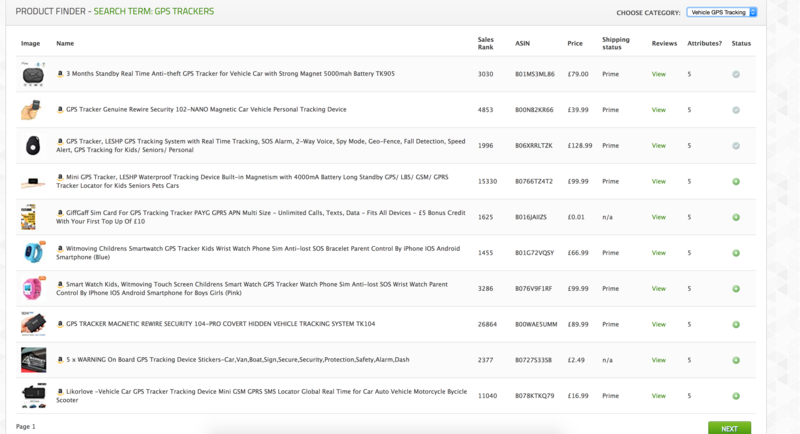 The images below will show me quickly adding items to all of my categories on this new converted store. Once you add a few products, you are done. 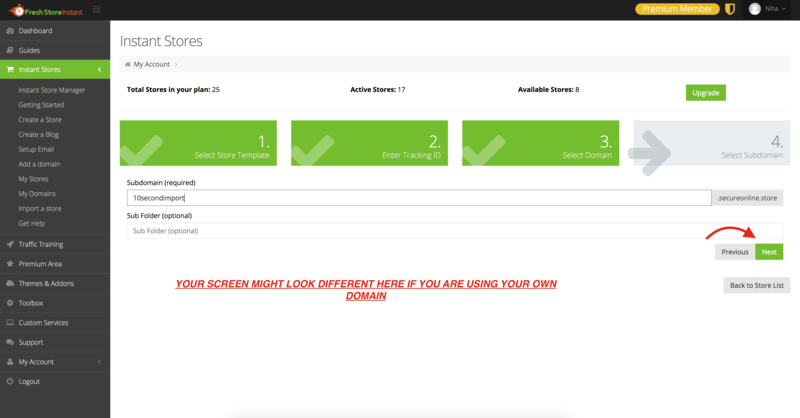 The store will already be setup with a banner, css color changes and basic template options set. You can see below this example is all done. 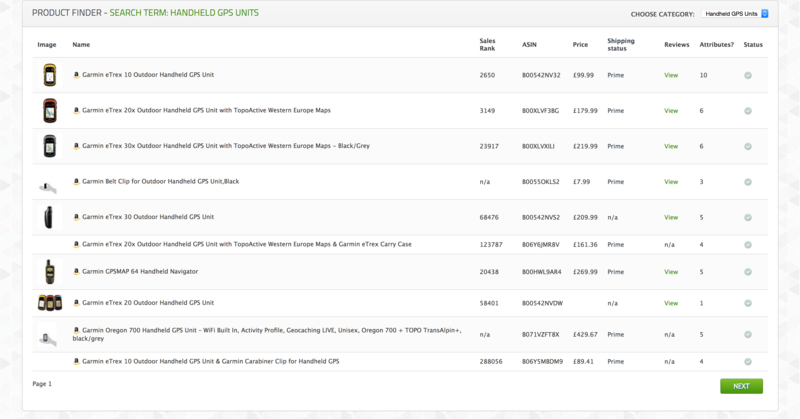 This was the USA 10ss GPS Niche store loaded up and switched over to the Amazon UK locale. It took me less than 10 minutes to fill in some UK products after deleting the USA products. Below shows me testing the new store to make sure its setup to the new Amazon locale and working. The amazon button took me to Amazon.co.uk website. 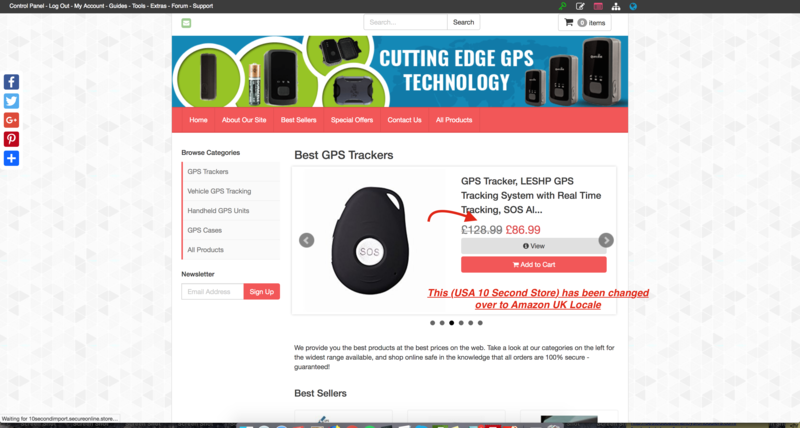 Which shows this Amazon.com 10 Second Store has been converted to a Amazon.co.uk store. This guide can be used to convert the USA 10ss niches to any other locales. You will just have to quickly re-add some fresh products after converting.